"Just tell me what to do and promise me it will lead me where I want to end up, and I will do it!" Sound familiar? But, as you may have noticed, Life has other plans. This earthly existence keeps derailing the "for sure's", keeps throwing curve balls our way, keeps nixing our perfect plans and visions, and instead nudges, forces, coaxes, calls, yells, whispers and pushes us to: let it go. Yes. To let go of this fabricated, deeply ingrained notion that "there is one way to do it right and if I just know what that one way is, everything will be all right". And, when it comes to parenting -- this crazy, exquisite dance between our self and our child--Life utterly derails any such notion of "predictable, known, for sure and for certain". This is not to say that many of the parenting books and parenting methods and parenting tips and parenting know-hows and parenting experts and parenting "fill-in-the-blanks" are not helpful; they often are, supplying encouraging tips and insights to try out and help us along. They won't ever get you to that solid place that you so wish you could get to. It's impossible to provide the "right" response to the zillions of possible parenting moments, dilemmas, disasters, questions and curve balls you encounter. You will still come face to face with situations in which you are at loss, in which you really have no idea what to do or say, in which you have tried all kinds of things and nothing seems to be working. At the end of the day you will still be left wondering if you shouldn't have, couldn't have done "it" differently--"it" being any aspect of parenting you can think of. You will never know for sure whether you should have protected your child more or challenged her more. You will still wonder if he needed more guidance or less, if she would have been better served had you trusted her more or directed her more, if he needed more comfort or more stimulus, more independence or more connection. When traversing the territory, when engaged in the actual doing of parenting, it is not this or that method that will offer you a solid handrail to clutch on to. 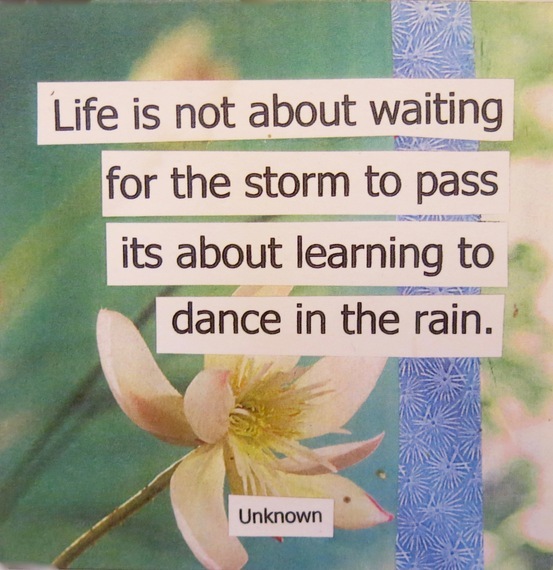 It is not the "apply this or that" technique that gives you the ultimate ground to stand on as you seek your way through the storms and the sunny sky days. The practice of self-awareness. Knowing your self--your tendencies, your type, your strengths and growing edges, your shadows, your soul. Also, continually inviting yourself into a fuller sense of belonging. You are not alone. You belong. You matter. You are loved. Receiving that fully, and living from that knowing. The practice of listening between, beneath and beyond words. Listening for the emergent response, not memorizing what the 'parenting book' said. The practice of releasing attachment to your own subjective perspective, and of looking behind your child's eyes, over and over. And the practice of practice! We can easily trip up on "Oh no, I'll never be the perfect parent and I'm so stressed about that!" To evolve rather than perfect. To strive for consciousness while enveloping your efforts with generous doses of kindness, forgiveness and humor. One step at a time. Discovering the simplicity on the other side of the complex territory that is Life, that is parenting, is about getting a hang of how to relax in the middle of the unknown, in the plenty of chaos, in the multitude of possibilities--that is the spiritual practice. That is the way forward to dancing at the edge of the unknown and coming through with your heart and her heart intact (perhaps a little frayed, but good and solid). Remember: Your parenting flows from your being, much more than from your doing. As you become comfortable with living at the edge of the unknown, finding calm confidence within yourself while life continues to whirl and spiral in and around you, you will have truly learnt how to "dance in the rain, instead of waiting for the storm to pass". You will become weatherproof! If you would like to join me and a wonderful, international group of parents as we explore and practice this comprehensive and underlying approach to parenting, I invite you to "Parenting as a Spiritual Practice" - an 8-week online course that runs Oct. 10 - Dec. 5, 2016. This course is designed to bring to life the full potential of parenthood: a transformative vessel for evolving yourself, your child, and the future. During these eight weeks I offer you perspectives, practices, discernment and insight that will help you discover an unshakeable ease and delight amidst the inevitable ups, downs and doubts of parenting.